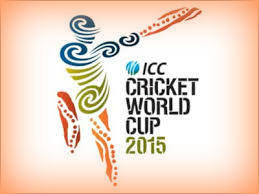 Defending Champion Team India is going to face West Indies today in World Cup tourney. As part of Pool B league matches, India and West Indies will play a match in Perth. Team India wants to confirm quarter final berth by winning this match. Perth: Windies is a dangerous team with full of power hitters and all rounders. It played four league matches till now and won only two. Thus today’s match is very crucial for the team. If it wins the match, the knock out chances will be live for the team. There were many doubts on the form of Team India prior to beginning of world cup tourney. But the team is in title race now after winning three matches. Today’s match is fourth for Team India in pool B. It still has two matches to play against Ireland and Zimbabwe. India already won six points and is on the top of points tablet in Group B. There is nothing to compare between India and West Indies matches. In the first three matches played till now it delivered tremendous performance. West Indies on the other hand is inconsistent. In the very first match, the team was defeated by Ireland. But they won the next two matches played against Pakistan and Zimbabwe. Opener Chris Gayle scored double century. But later they were defeated by South Africa by a big margin of 257 runs. Most bowlers dread the name of Christ Gayle but India is in safe zone as it is nine years since he scored a century against India. His last century against India was in 2006. After that he played 19 innings against India but his scored never reached the three digit mark. His average was only 23.68. He was duck out four times, made only single digit score seven times. But it does not mean that there is no problem with Gayle. When the day is his, he can show what he is thus the opponent bowlers have to careful with him. Waca pitch helps pacers. Coming to the weather, it is dry since one week. There is no sign of rain. The match wills start at 12.00 pm Indian standard time. This entry was posted in Sports on March 6, 2015 by Rakesh.